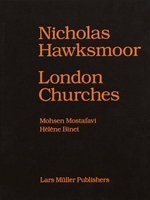 Hardcover, 9.25 x 11 in. / 376 pgs / 200 color / 100 duotone. Preface by Peter Walker. Introduction by Douglas Reed, Gary Hilderbrand. Text by Robert Pogue Harrison, Gary Hilderbrand, Niall Kirkwood, Suzanne Turner. Afterword by William Saunders. Visible | Invisible presents the work of Boston-based landscape architecture firm Reed Hilderbrand. Led by founding principals Douglas Reed and Gary Hilderbrand, the firm is widely recognized for rigorously conceived and carefully executed projects that merge the particular native qualities of a site with recognizably contemporary design expression. Their work embodies a deep embrace of modernism, a devotion to intellectual traditions in their field and a rich engagement of horticulture and ecological systems. 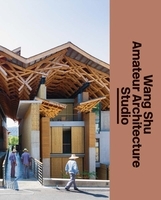 The book examines a range of 40 public and private commissions in cities and rural settings, including institutional campuses, residences and urban regeneration projects such as the Arnold Arboretum of Harvard University; Bennington College, Bennington, VT; Duke University, Durham, NC; Poetry Foundation, Chicago; Kauffman Center for the Performing Arts, Kansas City, MO; Clyfford Still Museum, Denver; Dallas Museum of Art; Phoenix Art Museum; and the redevelopment of portions of the South Boston waterfront. An introduction by Hilderbrand and Reed reflects on the firm’s 20-year evolution, and essays by noted scholars develop themes that recur in the work. The book opens with an extensive photographic essay by Millicent Harvey and concludes with 60 full-page plans. 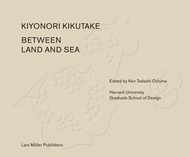 Internationally renowned landscape architect Peter Walker contributes a preface. 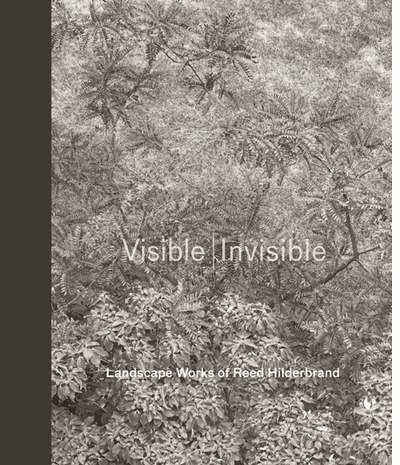 Elegantly designed and beautifully produced, Visible | Invisible is ideal for landscape architects, architects, preservationists, landscape photographers, and anyone who appreciates truly beautiful books. 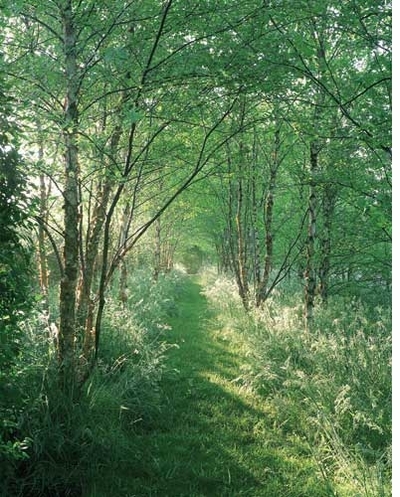 Featured image is reproduced from Visible|Invisible: Landscape Works of Reed Hilderbrand. 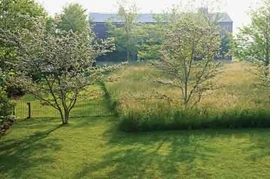 The work of Boston-based landscape architecture firm Reed Hilderbrand is widely recognized for merging a site's native qualities with contemporary design. 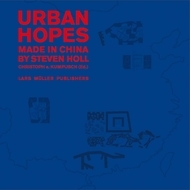 This book examines a range of 40 public and private comissions in cities and rural settings, and includes a preface by reknowned landscape architect Peter Walker. 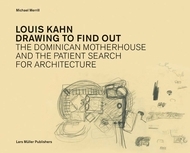 Reed Hilderbramd's work is elegantly depicted in this new volume, created by the firm. 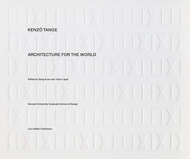 The book included essays from a small number of outside observers, like Suzanne Turner, FASLA, and Niall Kirkwood, FASLA, that dig into the firm's core values-- its emphasis on durability, creating order and calm, and responding to the ecological and cultural history of the site. The book begins with a collection of stunning black and white images by the photographer Millicent Harvey. Architectural Record announced today, "Reed Hilderbrand of Watertown, Massachusetts will receive the Landscape Architecture Firm Award, the highest award ASLA may bestow upon a landscape architecture firm in recognition of distinguished work that influences the profession. Since 1997, the collaborative work of Douglas Reed, FASLA, and Gary Hilderbrand, FASLA, has been recognized for its design, craftsmanship and extraordinary use of plants. The firm's work is wide-ranging, from residential and parks projects to cultural and academic institutions and has garnered 12 national ASLA awards just in the past decade." 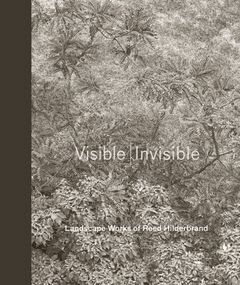 Congratulations Reed Hilderbrand and Diana Murphy of METROPOLIS BOOKS, publisher of the glorious monograph, Visible|Invisible: Landscape Works of Reed Hilderbrand. FORMAT: Hbk, 9.25 x 11 in. / 376 pgs / 200 color / 100 duotone.